People are always looking for local events, organised by venues or the community. WotZon gathers the local events and makes them available as a mobile web app. It allows users to add their own events easily and the event listings are available for 3rd parties like the local tourism websites to share. 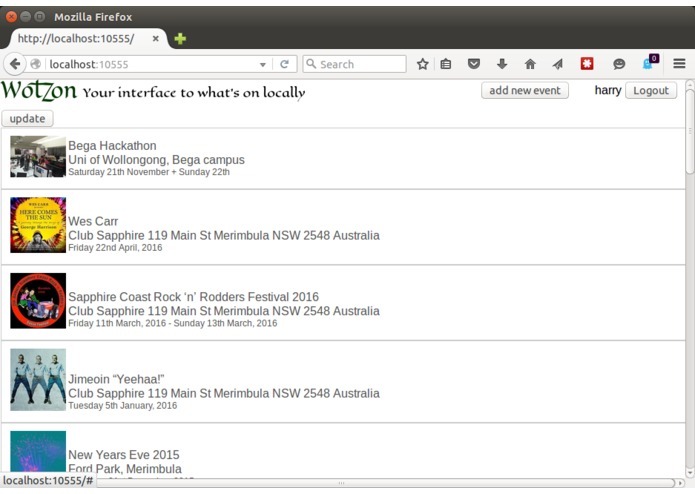 Built as a single page mobile-friendly web app with a server database to store events. 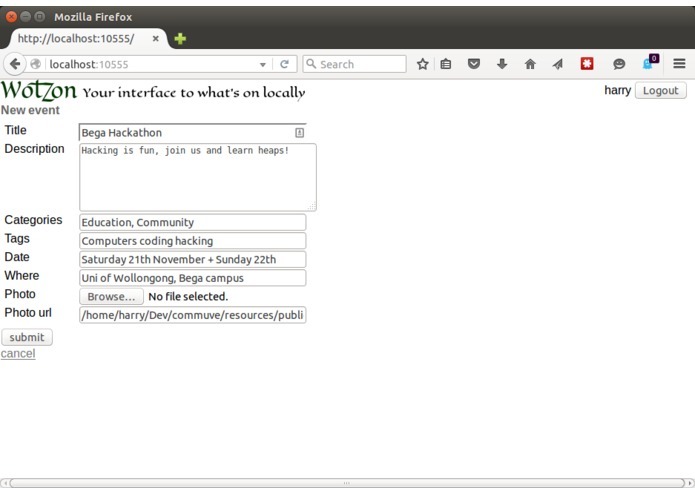 The big challenge we have is now we've built it, getting people to start using it and adding events! So the other side is Gary doing the 'growth hacking', that is generating ideas how to connect with the various communities to adopt WotZon as a way of sharing their local events. Working in the team to figure out what to concentrate on for the initial version. And the using rapid development tools to make it happen. There's various places that list some events but there is a real need for easy access to all sorts of local events. Finish off our 1.0 version and then go back to talking to the local communities to show them and discuss opportunities.